The Coalition of Youth Leaders, representing the Southern States of Nigeria, have condemned the call by former Minister of Defense and former Chief of Army Staff (COAS), General Theophilus Danjuma, urging citizens to resort to self help and violence in areas where the country have continued to witnessed clashes between herders and farmer, and those, which has been under the attack of armed Militias in some parts of the country. 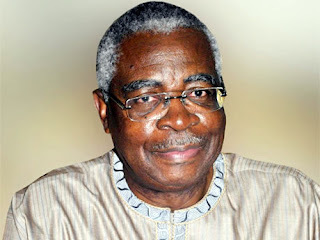 Over the weekend, General Danjuma had during the inaugural convocation ceremony of the Taraba State University, Kalinga, accused security agencies, particularly the Army of aiding the armed Militias whenever there are reported cases of attacks, in the affected areas. Rising from an emergency meeting in Lagos, the group in a statement issued and signed by President of National Committee of Yoruba Youth, Comrade Odeyemi Oladimeji, Dr. Fidelis Nze(KSC) representing the Southeast Proffessionals in Diaspora and Chief Godwin Ogerugba of the Federation of Southsouth Patriotic youths, said the statement by General Danjuma is unexpected of an elder Stateman of his status, as it can best be seen as an open declaration of war against the Nigerian nation, also being a great disservice to democracy in the country. “As young Nigerians, we consider it worrisome and highly shameful to listen to the former Chief of Army Staff and Elder Statesman, Gen TY Danjuma, a man who has profited massively from his position and influence in the nation, verbally indicting the Nigerian Army and calling for anarchy without a shred of evidence on the altar of ethnicity and primordial sentiment of collision with criminal elements. “If a man of General T Y Danjuma’ s status can make the statement he made about the Nigerian Army in a public event in his locality rather than lend the nation his wealth of experience to tackle our security challenges, then there is more to be desired. “When a supposed leader of the nation can seek to make a statement like ” Somalia will be a child’s play ” , on issues he should understand requires maturity and sensitivity. Then we just can’t help being so sad. The Nigeria we live today is the Nigeria that General TY Danjuma and his cohorts built for us. A land where we live in insecurity and ethnic distrust. Where we are all so poor yet strive for happiness. General Danjuma is worth a few billion dollars and the question is this, does General TY Danjuma really feel our pain as a Nation? On this, General TY Danjuma goofed and his statement is politics taken too far” the statement read. “At this crucial time in our nation, statements like these are very sad and a complete reversal of all the democratic experience we have built and nurtured in Nigeria in the last 18 years. A University’s Convocation which normally should have been an opportunity to educate the young generation of our people and promote National unity, was instead turned into a call for war and violence by an elder statesman. “As a generation, we will not fold our arms and allow any war monger to destroy our hard earned democracy. We will not stop but continue to alert Nigerians and the international community to the danger that these self serving individuals are posing to our democracy.